Northamptonshire County Council needs to find £115m savings over the next four years predominantly to meet social care costs in the county. The Library and Information Service must share in this financial challenge and seek to reduce costs to the tax payer. The low cost per visit compared to other library services demonstrates that this cannot be achieved by further efficiencies alone, and requires a more fundamental reshaping of the service to ensure it is fit for the future. Northamptonshire County Council is consulting on changes to the Library and Information Service in order to make cuts to their budget. 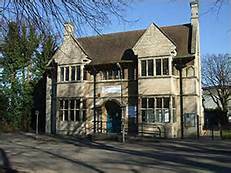 Under option 2 and 3 Higham Ferrers Library will close. Under option 1 there will be the opportunity to have a community managed library. a significant part in informing the new library strategy 2018-2022. The Town Council are discussing if they can possibly help to preserve the service and below are the reports and documents being contemplated as part of the process. XHTML 1.0 validated. WCAG compliant. Page generated in 0.0899 seconds.